Find out more about Ms. Juba on her website or follow her on Facebook. Jaine Andersen is a smart, marketing job seeker who has decided that, after visiting with her young niece, an aging, family-owned amusement park needs her expertise. Storybook Valley Amusement Park isn’t looking for a marketing director but agrees to review her proposal. What the park's new general manager, Dylan Callahan, does need is a new Cinderella. So with a promise from the handsome general manager to add a marketing position in the fall, Jaine agrees to don the Cinderella costume and learn how things are run at the park from the inside. The quirky characters make this story a pleasurable journey as Jaine learns about this unique family, the business, and its employees. When Jaine discovers her high school nemesis is employed in upper management at Storybook Park and the woman is after Dylan’s job, all bets are off. With Jaine’s own sisters demanding her time for their needs and devices, things in her own life start to fall apart. It is always great to watch a strong female wade through the twists of a plot and manage to keep her dignity intact while dealing with circumstances beyond her control. There is a nice balance achieved in this story and I would recommend it for a satisfying beach read. I can’t wait to see who the next story is about; there are so many interesting character choices for Ms. Juba to choose from. 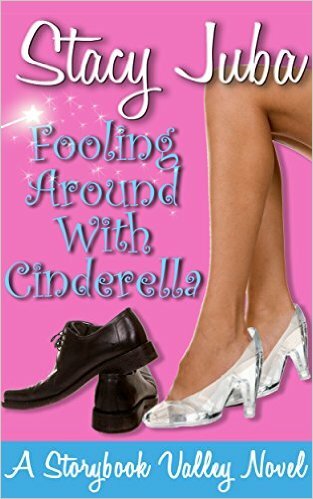 Fooling Around with Cinderella is the first book in the Storybook Valley series from Stacy Juba. I found no significant issues in editing or formatting. Thank you so much for the review of Fooling Around With Cinderella!